Gathering 71 underutilized chairs from one of its sites, the team arranged 46 chairs to be donated to Manila Boys Town Complex in Marikina City, 15 to the Precious Heritage Ministries Foundation located in Santa Cruz, Manila and the remaining 10 was given to Tahanan Santa Luisa in Manila. All three organizations provide home and give aid to homeless boys, indigenous families, orphaned children as well as victims of sexually abused homeless girls. 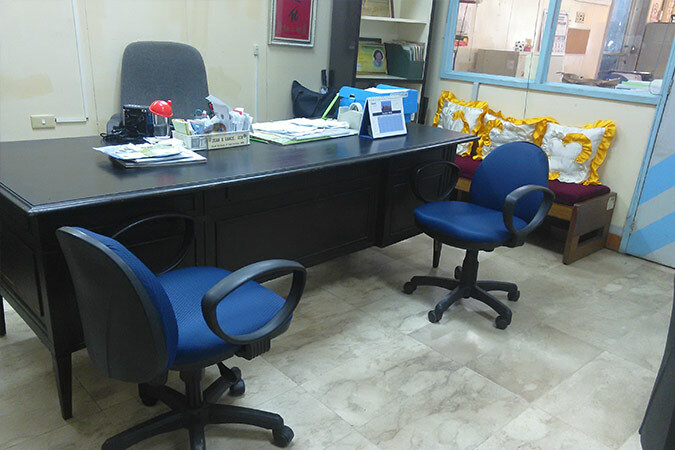 Sales Rain arranged the donation of 46 rolling office chairs to the Manila Boys Town Complex in Marikina City. 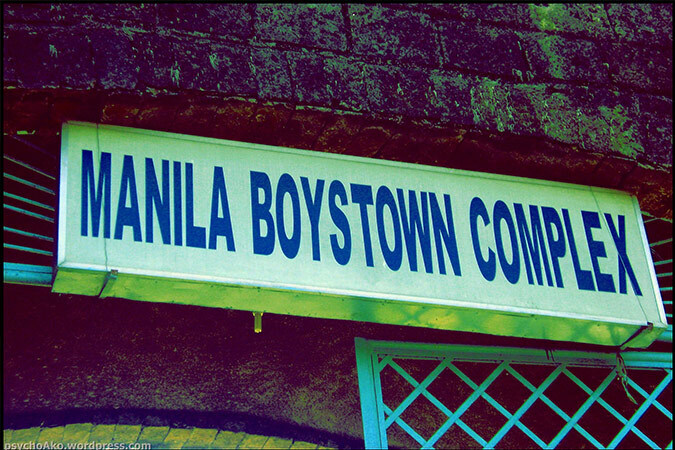 This facility is an orphanage for the homeless, abandoned, forgotten and voluntarily surrendered children, teens and senior citizens. 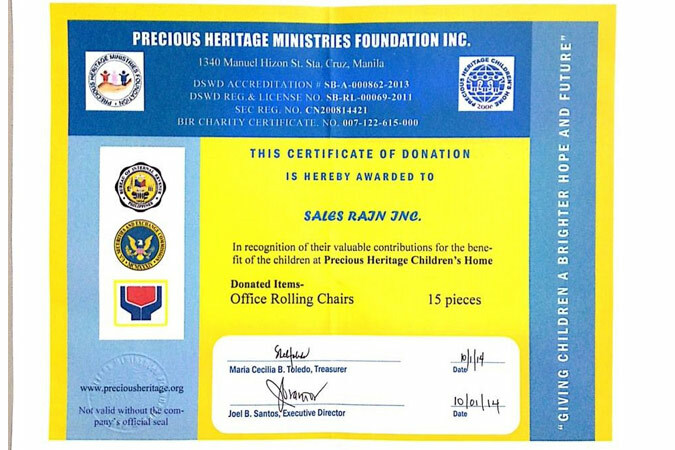 Precious Heritage Ministries Foundation in Santa Cruz, Manila received 15 chairs from Sales Rain. 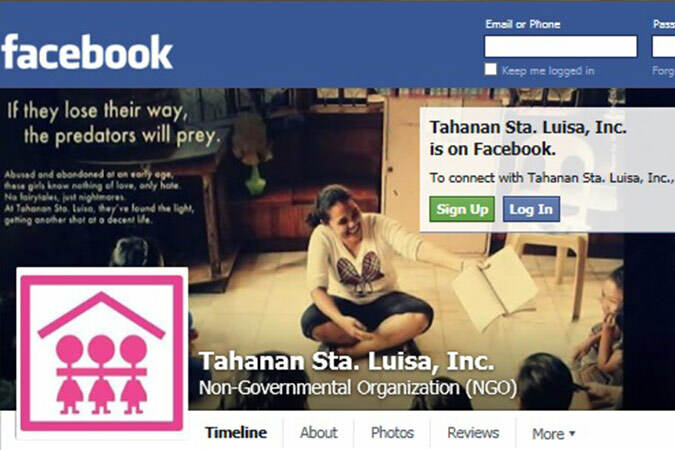 This foundation is an indigenous non-stock, non-profit and charitable organization registered at Securities and Exchange Commission (SEC) and accredited by the Department of Social Welfare and Development (DSWD). 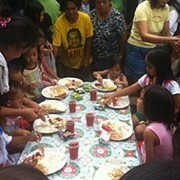 It is a grassroots ministry, providing housing, food, clothing, medical care, education and love to the orphaned, abandoned, malnourished, and less privileged children in the Philippines. In addition, Precious Heritage also provides community development programs in rural poor and urban poor areas nationwide. 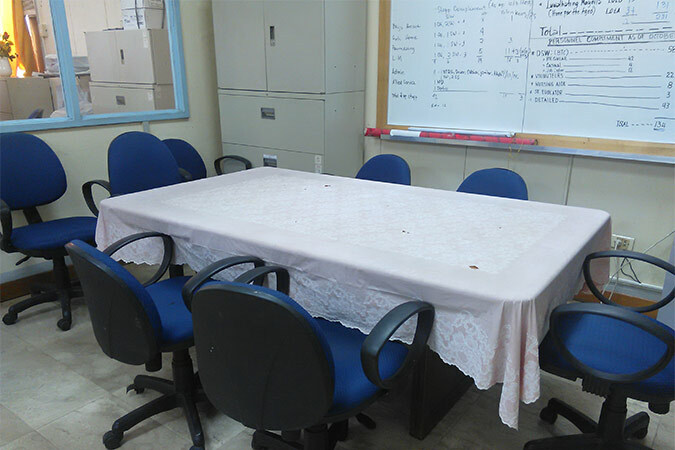 Tahanan Santa Luisa, Inc. received 10 chairs from Sales Rain for its facilities. 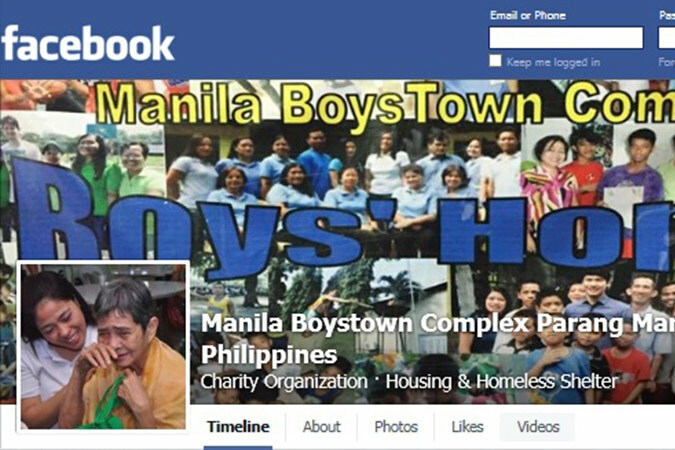 It is a a crisis intervention and recovery center for the rehabilitation of abused and prostituted street girls. 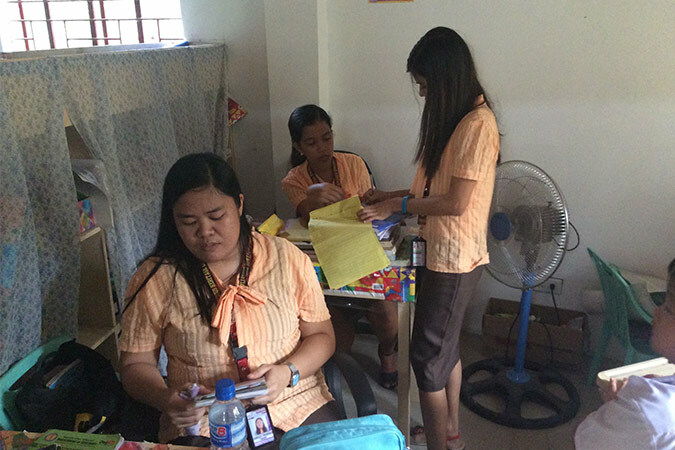 They manage one of only three residential centers in Metro Manila which focus primarily on the admission of pre-adolescent and adolescent street girls – one of the most vulnerable and marginalized demographic groups in the Philippines. 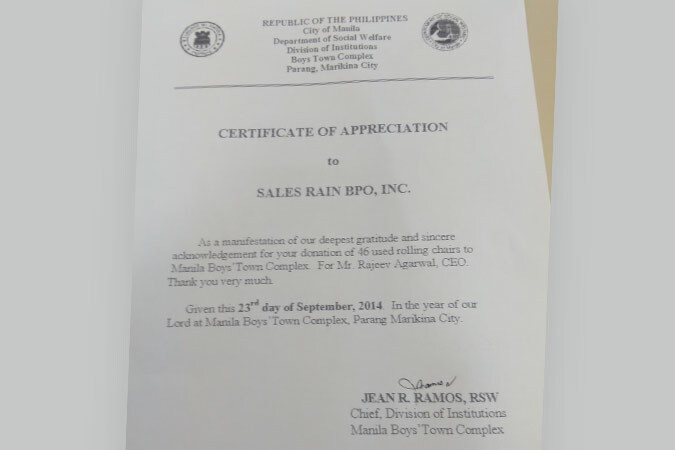 It has been Sales Rain’s priority to develop a sense of social responsibility to every member of the team. 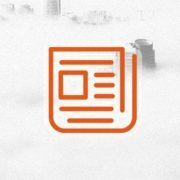 The company promises to continue exerting effort to create programs and other events that can be of help to the betterment of the local community.